Today Jo Watta, chair of Governors Park Grounds Committee, notified the community of work scheduled to renovate the Park neighborhood entrances. In the next few days or so you will be seeing extensive work done on the two Park Entrances. Myatt Landscaping will be removing overgrown trees, planting new trees and shrubs, cleaning and painting the monuments and signs and redesigning our annual beds. Wherever possible, existing plantings are being left and/or reused in other areas of the entrances. Please be aware when entering or leaving the Park that crews may have trucks parked at the entrances. Watching this kind of work can be very exciting for children, but also very dangerous. If your little ones want to watch, please stay with them as they might get too close on their own. The work should take between 2 1/2 and 3 weeks to complete (depending on weather) but we have the perfect time of year to be doing this and the Park Grounds Committee looks forward to a successful completion of the work. Please feel free to contact anyone on the Park Grounds Committee if you have questions. This entry was posted in gv Grounds and tagged governors park grounds on November 8, 2016 by govvillage. Residents in Governors Park will be seeing Greenscape doing quite a bit of work in our neighborhood over the next few weeks. The Governors Park Grounds Committee has set several projects in motion for our community, using the Enhancement Funds provided by the POA. 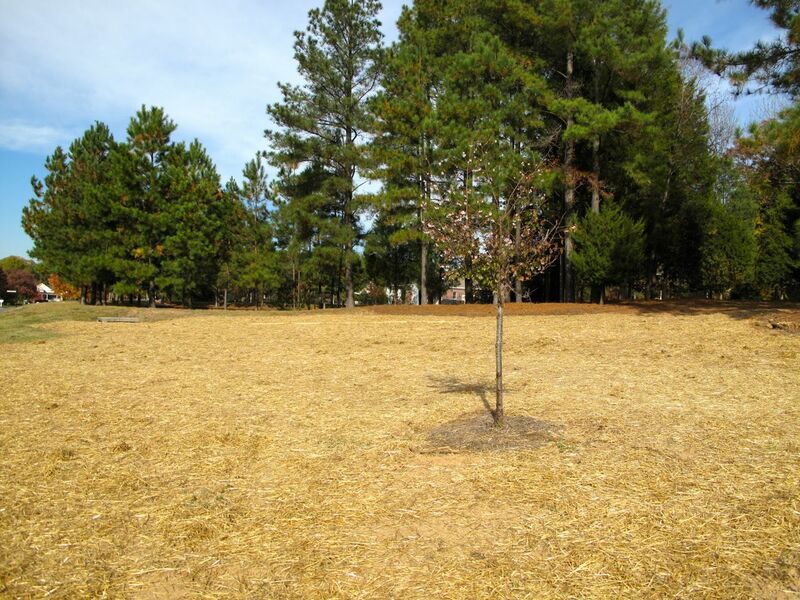 New trees will be planted on the Walser end of Meadow Park to replace the dead dogwood. 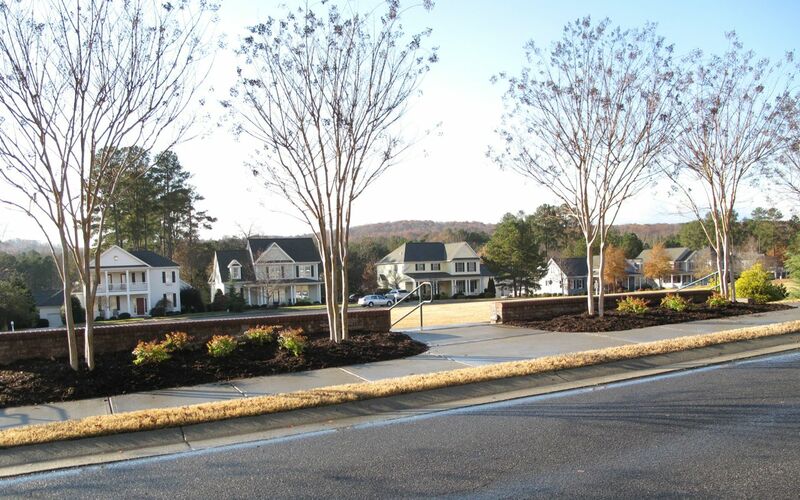 The Walser and Baxter medians will be getting an uplift with some new plantings and pine straw. As with all plantings, these will need to be watered. We are asking those who live close to the plantings to please give them a substantial drink on a regular basis so they can grow into healthy shrubs. Linda Kreiter has offered to coordinate the Walser watering schedule and Jo Watta will coordinate the watering on Baxter. Two memorial trees in Meadow Park have died or are in the process of dying. These will be replaced with Willow Oaks. In the spring Greenscape will be working hard on the hill by the amphitheater and the hill behind the pond. 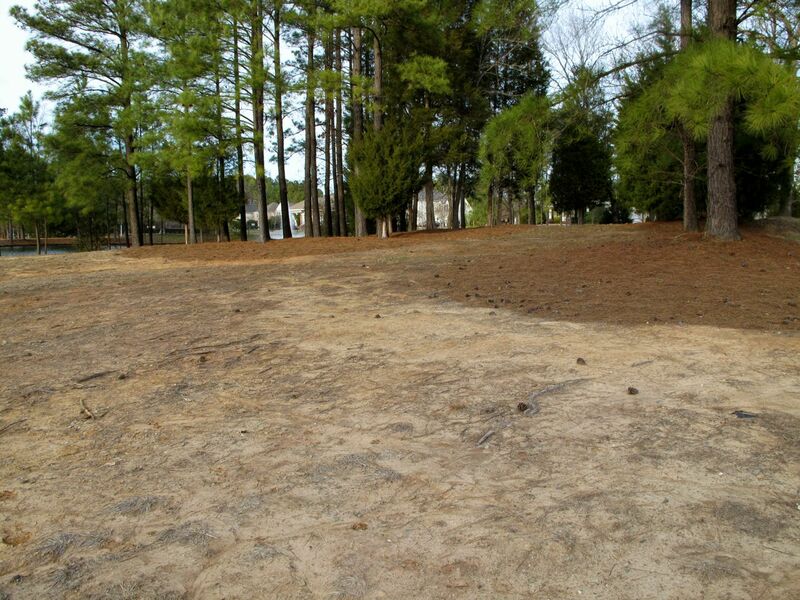 These two areas will be sodded with Bermuda grass. Anyone interested in being part of the Park Grounds Committee is welcome. Contact Jo Watta (919-616-4966) and let her know. This entry was posted in gv Grounds and tagged governors park grounds on October 23, 2015 by govvillage. The POA Board wishes to inform the Governors Village Community of the Root Collar tree work being done by Bartlett Tree Experts and Greenscape, Inc.
Our landscaping company, Greenscape, Inc. and Bartlett Tree Experts have developed a plan for mulching in our common areas for 2015. 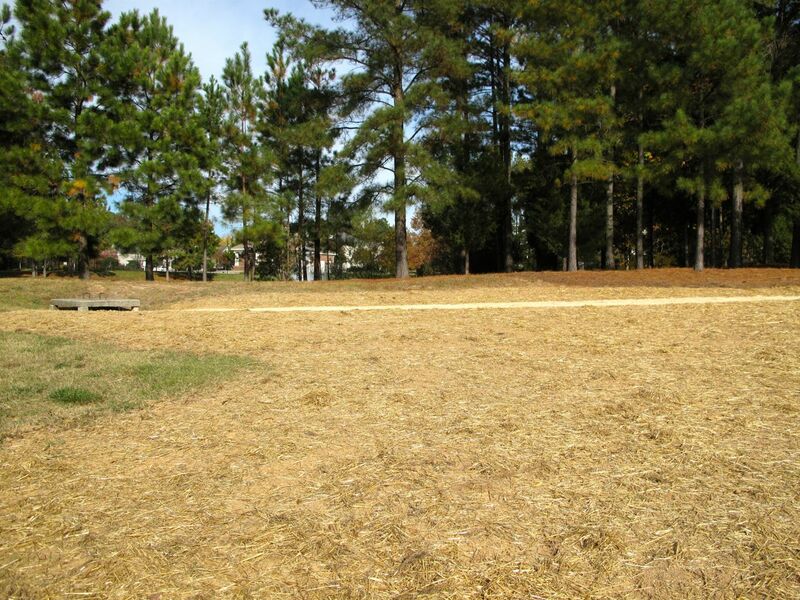 Not all areas will receive mulch as they have in past years. The attachments explain the the reasons for this approach. We ask for your support as over time this will protect our common area trees extending their lives well into the future. Trees on homeowners property are also vulnerable to root collar disorders. You may want to examine the root collars on your own trees to see if they too are over mulched. There are website addresses on the Bartlett document if you would like additional information. This entry was posted in gv Grounds, gv POA Business and tagged tree root collar excavation on July 12, 2015 by govvillage. The 2014 Grounds Committee in Governors Park has met regularly this year, making plans for improvements in many areas of the neighborhood. Culling a long list of needs, in March the group identified its top priorities for the year. Maintaining the tree canopy in the Park is a top priority. The committee is developing a tree restoration plan to replace trees that die and are removed over the years. Meanwhile, projects to address many other Park grounds priorities have been completed this fall. For a few years the upper area of the amphitheater between the crape myrtles has looked bare after the original shrubs died out. This week compact, variegated Abelia ‘Canyon Creek’ were installed to restore some interest to those two beds. 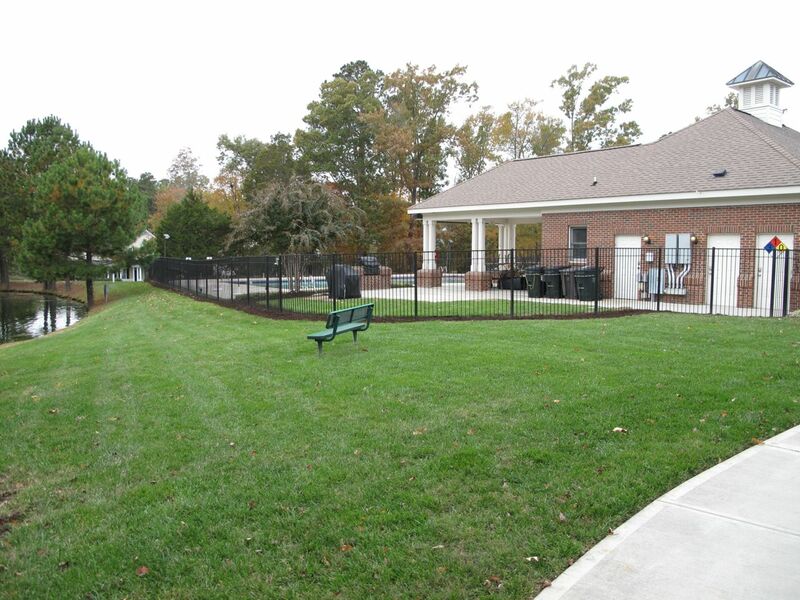 One area the committee selected to enhance this year is the main entrance to the neighborhood near the pool. Unsightly utilities and trash cans create an eyesore for residents and visitors entering and leaving the neighborhood. Screening material has been placed in front of the service area of the pool to provide an attractive view. As the plants mature they will help the trash cans recede into the background. Bright green Thuja occidentalis ‘Emerald’ (Emerald Arborvitae) and dark burgundy Loropetalum chinensis ‘Ever Red’ (Ever Red Loropetalum) were paired for this planting. Also, evergreen foundation shrubs have been added in front of the pool house between the crepe myrtles. Seasonal annuals are planted here by the community’s contracted grounds maintenance company, but the original permanent landscaping had dwindled. To create a low-maintenance layered planting for this area, a group of compact variegated abelia were installed behind the annuals. In back is a hedge of Prunus laurocerasus ‘Otto Luyken’ (cherry laurel), a dwarf cultivar with white fragrant flowers. The Baxter Runoff Project is one of the most extensive undertakings this year. The goal was to improve the area at the top of Baxter, just down from the pond and toward Meadow Park to hold back erosion and encourage grass to grow. 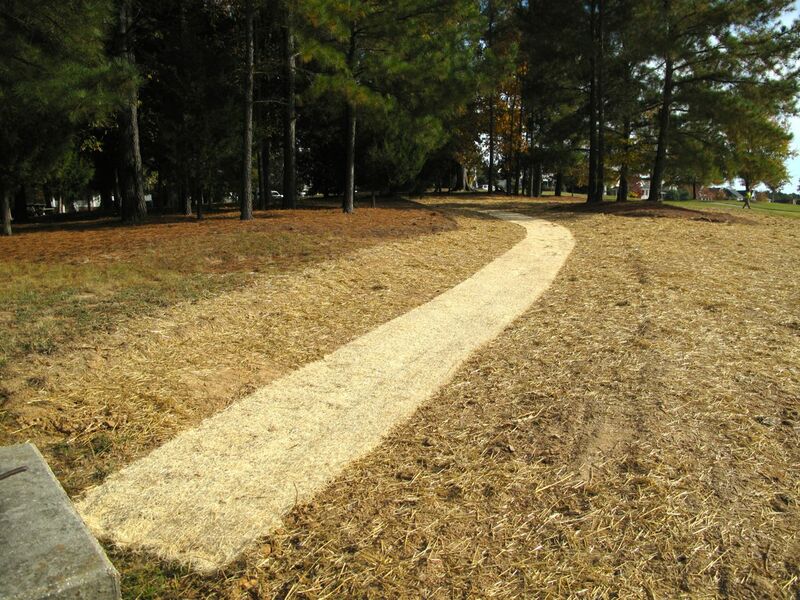 In the first stage of this project the hillside was regraded to slow and redirect rain runoff. Then the area was planted with grass to hold the soil in place. Irrigation was extended into this section to support growing grass and to allow for future enhancements. Finally, the Daffodil Program strives to enliven all areas of the Park neighborhood in mid-spring through the planting of 1000 bulbs. The committee expects the daffodils to continue to naturalize and multiply in future years. 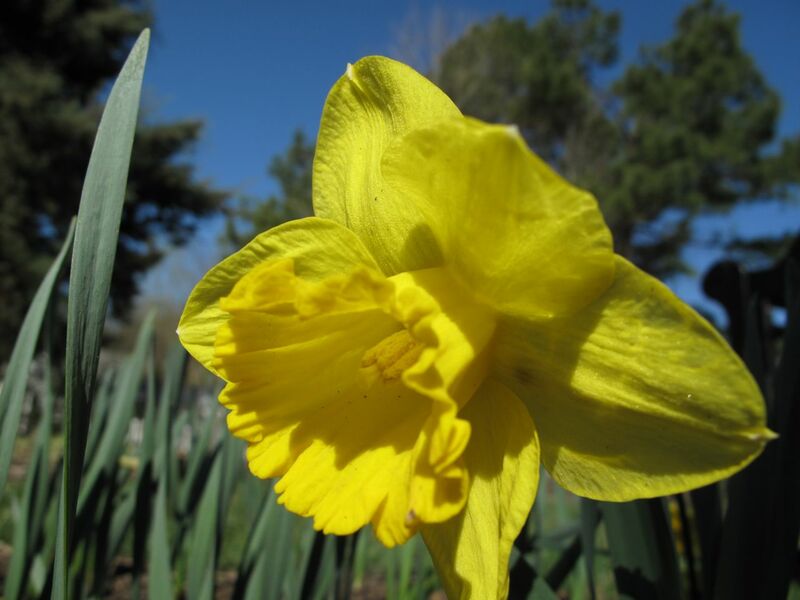 In mid-November the daffodil bulbs, 500 King Alfred and 500 white and yellow Ice Follies, were distributed and planted among all 8 cul-de-sacs, as well as in key locations within the main loop enclosed by Village Park Drive. 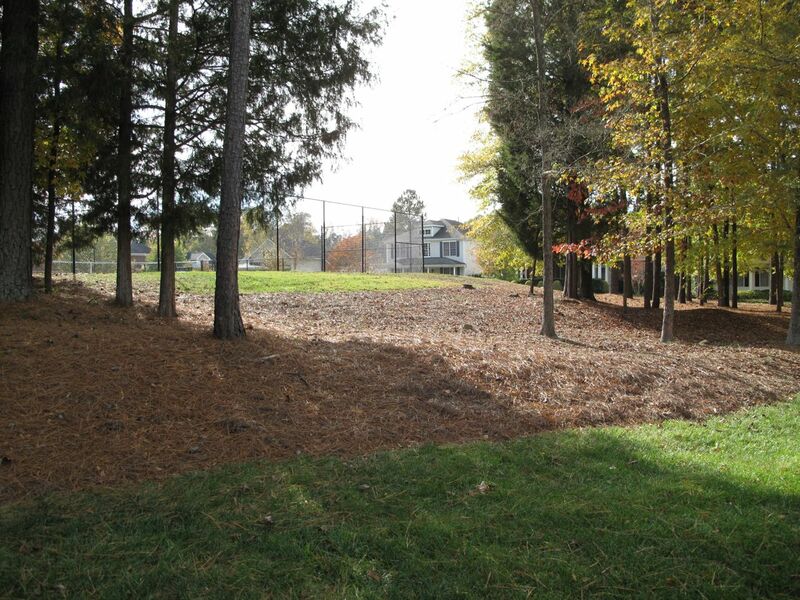 In particular, one area identified for beautification this year is the Pine Grove at the north end of the Village Park Drive loop near the back of the tennis court. With this in mind 220 of the daffodil bulbs were allocated for this section to create a vibrant flood of color for several weeks when spring arrives. 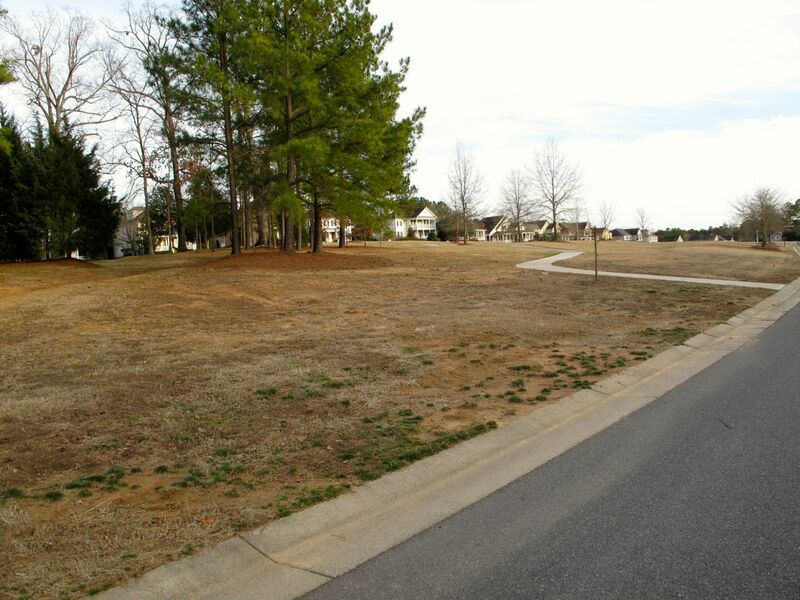 Pine Grove at north end of Village Park Drive will come alive with daffodils in spring. Support for these projects comes from the Governor Park’s 2014 neighborhood enhancement monies. Allocated annually by the Governors Village Board of Directors to the Townes, Park, Village, Forest and Lake, available funds are targeted to the five neighborhoods according to an equitable distribution depending on the current number of units in each of the areas. The Park Grounds membership includes Chair Jo Watta, Cliff Simpson, Carrie Klein, John Eberhard, Mary Anne Hutton and Susie Moffat. New members are always welcome. This entry was posted in gv Grounds, gv Photo Essay, gv Photos and tagged governors park grounds on November 28, 2014 by govvillage. The Governors Park Grounds committee met April 28, 2014 and again May 21, 2014 to continue planning this year’s landscaping projects. The minutes are provided below. This entry was posted in gv Grounds and tagged governors park grounds on June 7, 2014 by govvillage. For 2014 the Governors Village Communication Committee is launching a new series of articles called Governors Village In Depth. Designed to be of interest to new and long-term residents alike, this occasional series is aimed at exploring and explaining how our community operates. Kathy Lohr, who joined Communications this year as editor and special features coordinator, is spearheading this effort. Recently Kathy interviewed POA board member and treasurer, John Eberhard, to learn how the Neighborhood Grounds Committees are organized, what their functions are and how they fit into the overall grounds budget for Governors Village. Communications looks forward to your feedback on this first article and welcomes ideas for future ones. 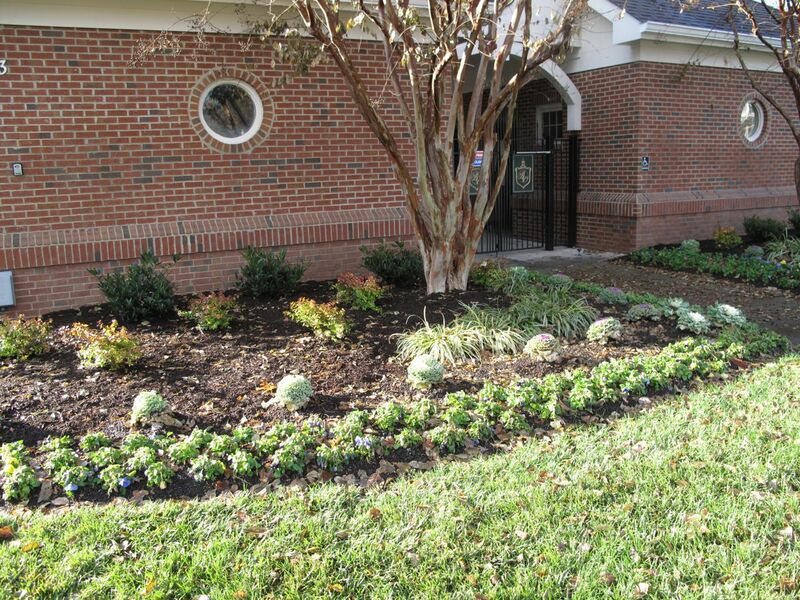 Have you wanted to see some upgrades in your neighborhood’s landscaping? 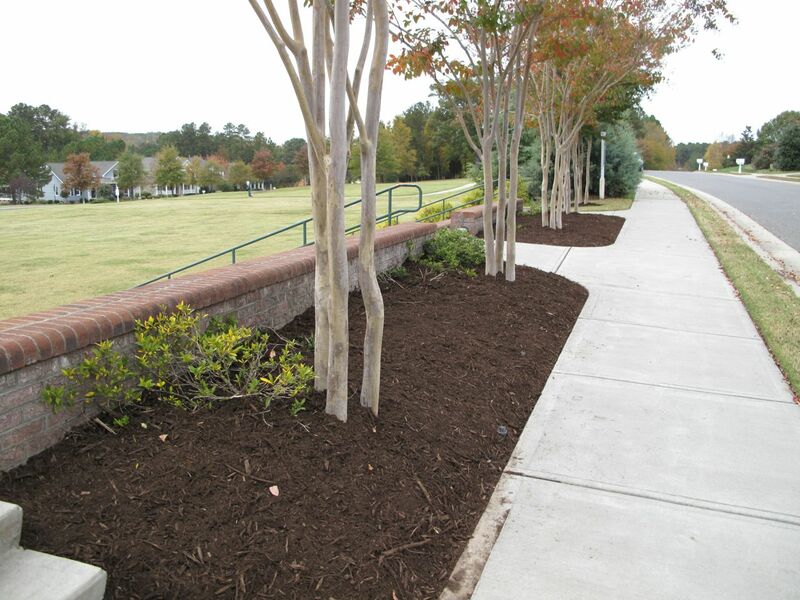 Do you have an opinion about what should be planted in your berms, medians, or circles? 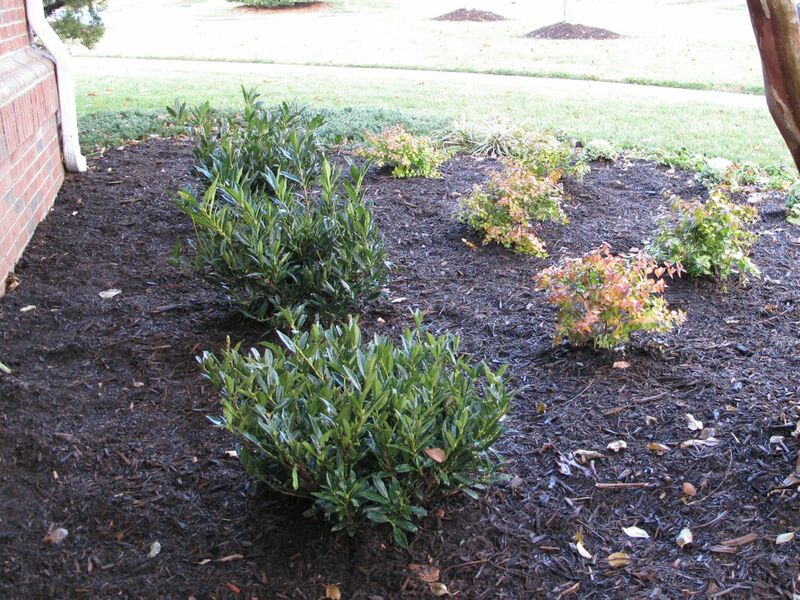 Do you know of problem areas that warrant landscaping enhancements? AND: Do you want to contribute to the ongoing progress and upkeep of the Governors Village community? THEN: Consider joining your local Grounds Committee, and have your say in many of the decisions that can enhance all the neighborhoods! With spring upon us, this is the perfect time! These groups work to improve landscaping and other amenities of our neighborhood common areas. Thus, they have the mission, the responsibility, and the opportunity to create a uniquely attractive landscape throughout the committee – one that reflects a significant standard of excellence and adds to the value, utility, and aesthetic appeal of our homes and environments. 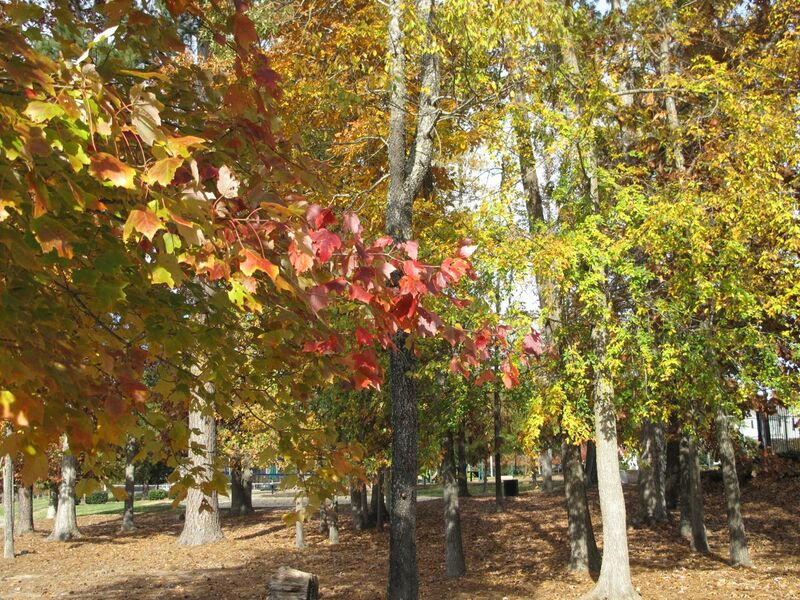 Of the six neighborhoods in Governors Village, five have grounds committees: the Village itself, the Park, the Forest, the Lakes, and the Townes. (The apartments, as a sixth neighborhood, have a somewhat different arrangement.). These committees have considerable latitude about decisions for enhancing the appearance and grounds of their neighborhoods. Even more important is that these committees have their own discretionary budgets for such enhancements, because regular maintenance of common areas is handled through a completely separate budget line for the Governors Village Property Owners Association (POA). The distinction is important, because the Grounds Committees do not have to worry about ongoing maintenance, such as basic upkeep, pest control, or irrigation and mulch. Thus, members of Grounds Committees can focus on what will bring visual beauty, additional appeal, and practical improvements to project priorities for landscaping – options and decisions that reflect preferences and ideas drawn from involvement in residents of each neighborhood. 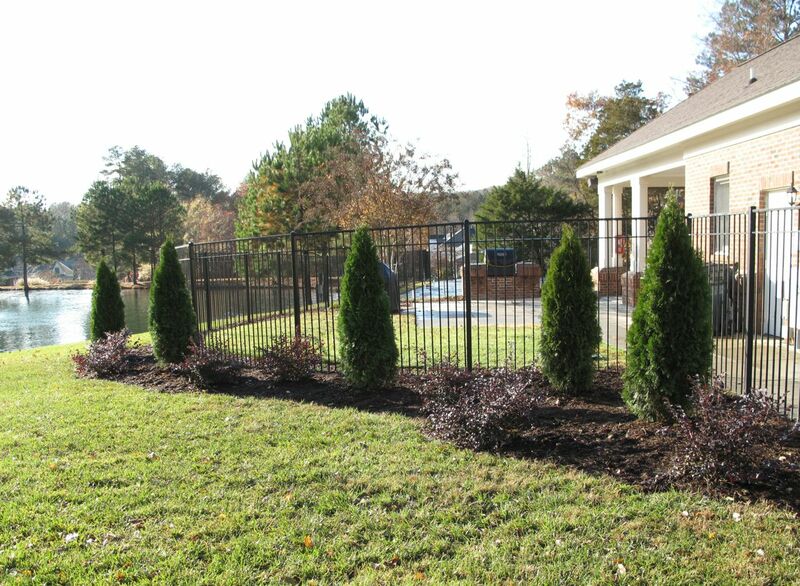 Enhancements include a wide array of landscaping ideas. For example, one neighborhood may opt for replacing trees that may have been removed or having someone check the health of trees growing in critical places to be sure they are not diseased or dying. 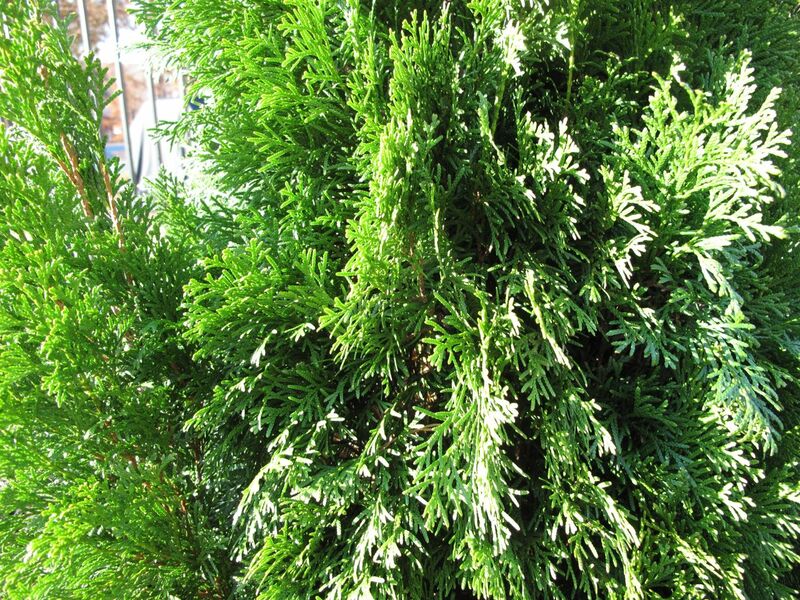 Others may believe that planting evergreens along sidewalks, or landscaping a center circle with ornamental trees and plants, is a high priority. Yet others may think that installing groundcover to enhance appearance of empty spots or to hold back erosion is important. Committees can also consider enhancements that might be done over the longer term. Such steps might mean adding soil to bare areas before proceeding with new planting, installing benches, or augmenting lighting. Even erecting a gazebo, or planting a rose garden, or installing stone walls might not be outside the realm of possibilities! Although the critical need is for committed volunteers to join their own (neighborhood) Grounds Committee, households themselves are important contributors to this effort. They may help to keep new trees well watered, add spring bulbs to common areas, and participate in annual clean-up days. These are wonderful opportunities even for neighborhood children to participate and add to the environmental appeal of their neighborhoods. In short, residents in the various neighborhoods understand what will be pleasing to the eye and what will make for a safe and enjoyable environment for all. Each neighborhood’s own Grounds Committee can make the decisions about spending money (or perhaps holding onto it for a year or so for a major project) as it sees fit. The budgets for 2014 for each committee are allocated from the GV POA overall budget. Otto White, of the POA, is the overall grounds committee liaison (contact: oeha1 at aol.com). 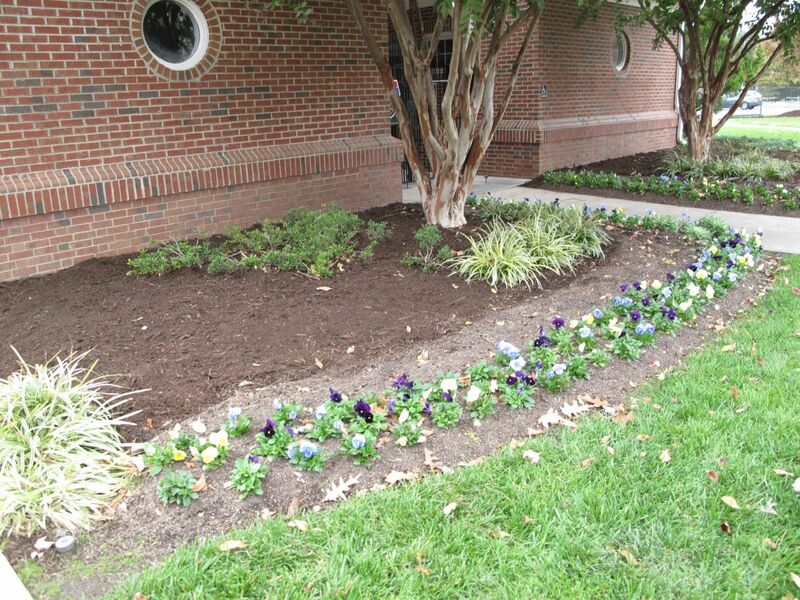 This year, the total budget for grounds enhancements is $35,688. Of this, $900 is set aside for the apartments, leaving $34,788 for the other five neighborhoods. These amounts do not include any carryovers from previous years. That is, some neighborhood Grounds Committees may actually have more to use this year, or they may elect to save some funding for a major enhancement in 2015. One important point to underscore is that the neighborhood enhancement monies are not the only funds available for improvements and to neighborhood environments. The main POA board will continue to plan for and fund larger-scale improvements — ones that are simply too big or too costly for this enhancement program. Recent examples of these more challenging projects include the expansion of the pool deck and the significant improvements around the lake. Each was funded by the POA board itself, outside of or in addition to neighborhood enhancement monies for these two neighborhoods. On behalf of the Governors Village POA Board of Directors, we urge you to volunteer for your own neighborhood’s Grounds Committee, and exercise your voice about the soft and hard landscaping options and enhancements for your own backyard! Questions about this Governors Village In Depth article or suggestions for another topic? Governors Village In Depth is sponsored by the Communication Committee. This entry was posted in gv Communication, gv Grounds, gv In Depth and tagged Governors Village In Depth on May 13, 2014 by govvillage. Governors Forest will hold a neighborhood clean-up day on April 12, 2014, from 10 AM-12 noon. Participants are invited to meet at the McGee home a bit before 10 to have a cup of coffee or juice and a snack before heading out to clean storm drains, pick up roadside trash and other tasks. Forest residents will need to bring work gloves, shovels and wheel barrows would be useful as well. Plastic trash bags will be provided. Rosemary McGee will post a message to the community listserv by 8:30 AM if there is a rain delay. The rain date is Sunday, April 13, 2014. This entry was posted in gv Events, gv Grounds and tagged cleanup day, governors forest on April 9, 2014 by govvillage. The Governors Park Grounds committee met March 11, 2014 at the home of Chair Jo Watta. From a long list of items the group established landscaping project priorities and identified several projects for community involvement. The committee discussed those areas within Governors Park which needed enhancement. 1. Tree replacement – replace trees in area where dead trees have been removed to maintain the canopy. 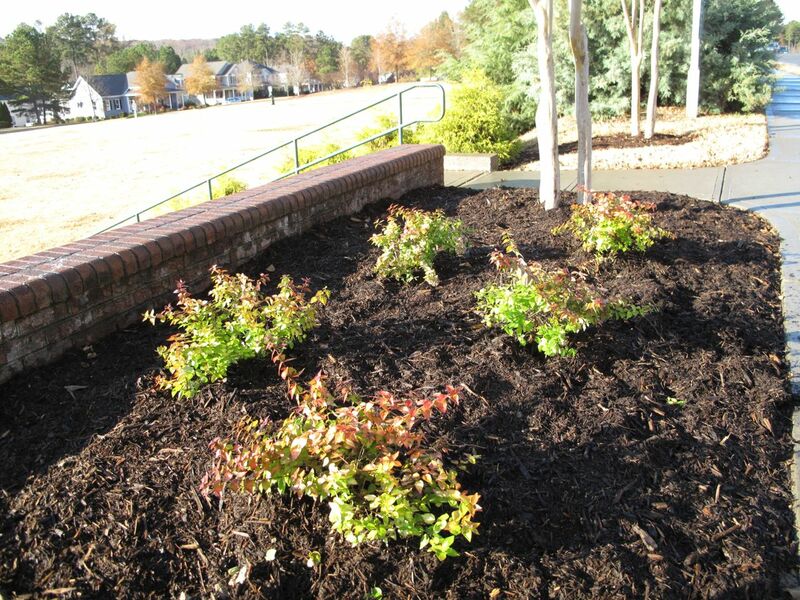 3. a) Plant screening material in front of the service area of the pool to hide the trash cans. b) Have Davenport check on the health of the corkscrew willows which were damaged in an ice storm. c) Have Davenport check the maple to the right of the pool house which is showing signs of dieback. 4. Enhance area at the top of Baxter, just down from the pond (in Meadow Park) to hold back erosion – get some grass/groundcover to take hold. 5. Enhance area at north end of loop near back of tennis court. 6. Long term – stage area at amphitheater. 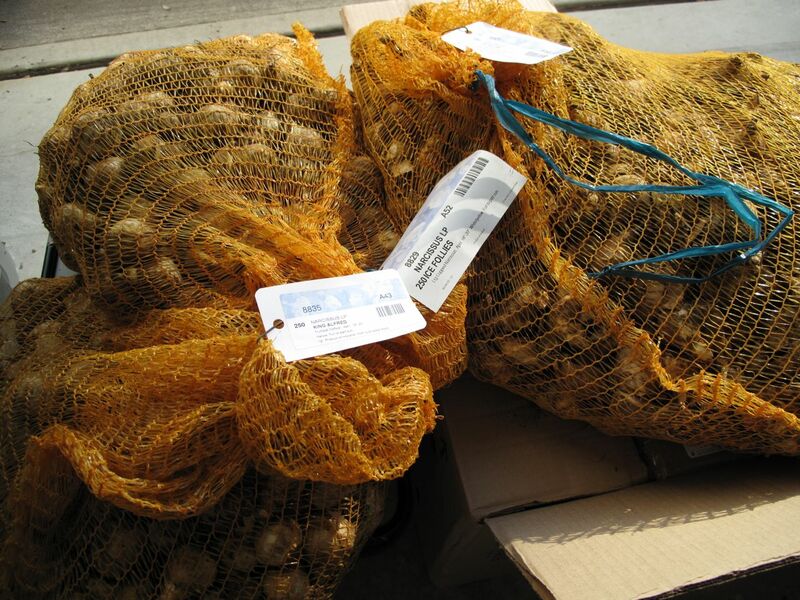 Fall bulb planting – lots of daffodils, crocus, etc. 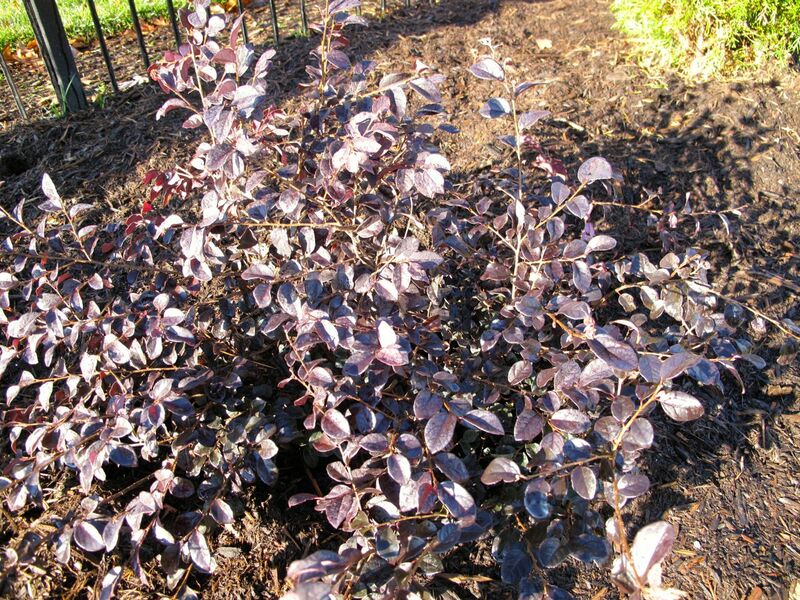 Arbor day (April 25) – replace dying shrubs by amphitheater, plant small trees to help increase tree canopy. Move doggie station currently in the middle of Meadow Park to a less obvious area. This entry was posted in gv Grounds and tagged governors park grounds on March 19, 2014 by govvillage.